Traditional stone villa, located in a little and calm village in Lima's Valley over Bagni di Lucca Terme, completely restructured, with cotto floors and rustic rooms. The house, for one side enclosed in the village with an ancient private court, on the other side there is a beatiful landscape over the Lima's Valley and the mountains around. 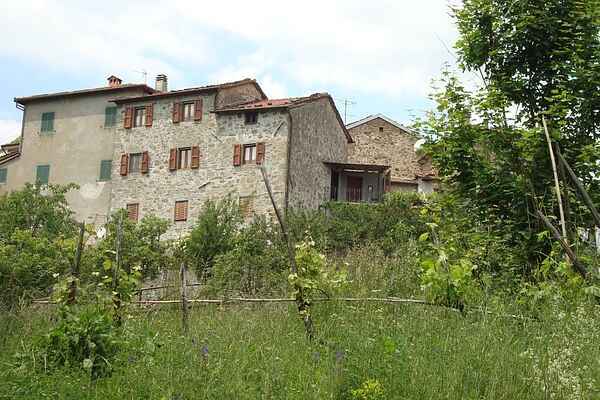 At first floor there are: the living room with sofa,sat-TV, the fully equipped kitchen with fireplace, a traditional dinning room and the big hall with peasant fornitures. At second floor there are: 3 traditional bedrooms doubles, 1 bedroom with 2 singles beds, a big bathroom with bathtub. Outside the house, at first floor there is a stone terrace, down of this, there is a big garden and pergola area for barbecue, where is possible to enjoy a beatiful sight over the Valley and the sun. Inside the house there are: sat-TV, wifi internet, CD/DVD/MP3 player, heating (extra), laundry room with washing machine (extra), barbecue, crib and more.